In front of the beach and blue of the ocean, Thalasso Bali is situated at the very heart of Grand Mirage Bali Resort. Offering a wide range of Thalasso and spa treatments, it is ensured to provide the perfect relaxation and rejuvenation of the body and soul. Featuring an aqua medic pool with 100% heated seaweed and seawater, as well as 16 uniquely designed treatment rooms, Thalasso Bali offers unique experiences. From Thalassotherapy to traditional Asian treatments, Thalasso Bali and its French trained therapists deliver more than just a spa. What is Thalassotheraphy ?? The word was created by Dr. De La Bonnardiere, a French doctor in 1869, from the Greek word thalassa (sea) and therapeuin (the cure). It refers to the treatment using marine elements, seawater, and seaweed for curative and preventive means under medical supervision. Though the word was created in 19th century, the history of the use of seawater goes back 2500 years. The tradition of bathing in the sea begins in the ancient Roman times. Sea cleanses all the human illness, said Euripides-Greek Philosopher in BC 480. In BC 420 Hippocrates, Galean and Aristole recommended hot seawater baths. The ancient Greeks and Romans were perfectly conscious that in the beginning, life existed only in the sea! Therefore they turned to the sea for a solution to their physical and medical problems. With the collapse of the Roman Empire the custom of seawater bath was forgotten until 18th century when the modern therapeutic basic of seawater was established. For two centuries Thalassotherapy was only a medical technique which was initially devoted to rehabilitation and to treat serious illness such as rheumatism, arthritis, osteoarthritis, lumbar problems and reduction after bones fracture, or sprain. But gradually, Thalassotherapy has moved towards a global conception for those under the conditions such as stress overwork, nervous tension, blood circulation problem, excess body weight, back pains, and for tobacco addiction which most of us who live in this modern society have at least one. Today, Thalassotherapy responds to the needs of new and sophisticated clients by offering an all around approach to well being which focus on preventive. Other preventive therapy such as pressotherapy, aromatherapy and Javanese nutrition are also practiced in Thalasso Bali. Let your mind drift under the expert hands of our trained masseuse performing your choice of exotic French style massage. Enjoy the light fragrance of original blended Thalasso aromatherapy massage oil to relieve sun burn, muscle tension and to uplift the mind. 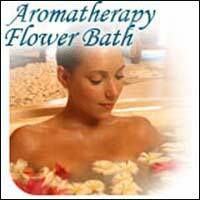 This treatment will awaken the senses and leave you feeling refreshed, revived and radiant. 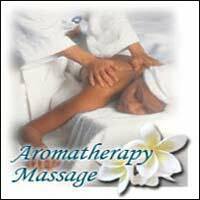 Aromatherapy Balinese massage uses a combination of gentle stretches, acupressure and Thalasso Original blended aromatherapy massage oil to stimulate the flow of blood, oxygen and energy around your body, and bring deep relaxation and wellness. This massage works deeply to soothe damaged tissue, and relieve strained muscles and joint pain. The boost to your circulation will help reduce stress and rebalance your body. The perfect therapetic prescription for detoxify and slimming, this toxin targeting technique recharges the immune system, reduce water retention and boosts sluggish circulation. Using a French technique with salty aromatherapy oil, this massage has a detoxifying effect and leaves the skin with a healthy glow. This Lymphatic Drainage Massage technique based uses anti cellulite oil with heat gel, followed slimming icy cool gel which will give burning sensation once applied to problem area of the body to burn cellulite. In order to improve the slimming effect therapist will squash the body parts especially problem area. The Therapeutic Infra-red Massage is delivered by incorporating the warmth of an infra-red lamp to relax muscles, ease pain and help reduce cellulite. While your therapist simultaneously apply warm and cold stones along acupressure points on the body, the expansion of blood vessels oxygenate the blood, creating a calming effect on the entire skeletal and nervous system. The heat of the basalt stones gliding across your limbs to fire up the lymphatic system, circulating nutrients throughout the body. As the cold marble gently awakens your muscles, the constriction of blood vessels stimulates the nervous system, drawing toxins out of the body. Recommended for support of the immune system, countering against flu symptoms and congestion, in addition, it alleviates stress, tension, muscle aches, and fatigue. Inspired by Thai healing traditions, this treatment combines Balinese Massage and Thalasso Bali's original Herbal Ball Warm Acupressure. Thalasso's original Herbal Ball is a parcel containing more than 12 kinds of medicated herbal ingredients and is applied to the whole body using an acupressure technique. The herbs help to increase energy levels, improve the immune system and lung function while acupressure stimulates blood circulation and releases muscle tension. Shirodhara is one of the most popular Ayurvedic treatments in India. Its purpose is to induce a feeling of absolute calmness and serenity but it is also regarded as an anti-ageing treatment. Shirodhara oil at Thalasso Bali is made by an Indian Ayurvedic Doctor and is used for a mind-soothing Indian head, scalp, neck and shoulder massage to help melt away tensions or stress. Your therapist will then massage and nurture the vital energy points to stimulate and energize the body system. Allow yourself to totally relax when a golden stream of specially blended, warmed, medicated oil is poured continually over your third chakra (located in the centre of your forehead), for twenty minutes. This is a divine way to reduce stress, enhance both the physical and mental constitution and promote longevity.